If you’re looking to create a stronger, more flexible, healthier body in the new year, consider a combination of strength training and chiropractic care that addresses every aspect of your musculoskeletal system. Many individuals who are training for strength also enlist the help of a trained chiropractic professional. These two approaches can go hand-in-hand to reinforce whole-body wellness and lessen the risk of traumatic injury. While it’s important to develop muscle during strength training, you can’t forget to take care of your nervous system too. This is where chiropractic care comes in: working on the nerves that cause muscle contractions will allow your body to make optimal use of its workout. In addition to helping these nerves reach their maximum potential, chiropractic treatment also helps bones and muscles align in the best possible way to increase their function. Straining to lift weights with improperly-aligned vertebrate or joints is a sure path to serious injury. Not only is this a painful risk, it’s also a counterproductive one. Muscles do not contract and tense properly over misaligned joints, which leads to an inefficient workout and overall loss of strength in the area. It’s better to stop the problem before it starts by making sure that your friendly neighborhood chiropractor has given you a clean bill of health before you hit the weight room. According to Marc Holt, a representative of Eden Prairie, MN chiropractor Premier Sports and Spine, there’s one often-overlooked benefit to chiropractic treatment in conjunction with strength training: consistency. “As any gym goer knows, the next-day soreness after a hard workout is one of the greatest deterrents to making everyday workouts a habit. No matter how hard the regimen, it’s not going to have any effect if it’s not practiced consistently.” A chiropractor can help you work out the kinks and relieve the stress of a workout, letting you get back to it the next day and beyond. 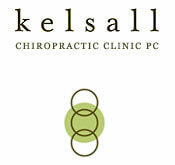 Anyone interested in finding a Portland Chiropractor to aid in them in strength training should consider Kelsall Chiropractic. In Centennial CO, chiropractic services available from Heritage Health can help you boost your strength training, overcome pain, and much more.